As strange as it seems, when you start up the standard RedHat or CentOS release, it is not configured for running Apache2 with any sort of performance! 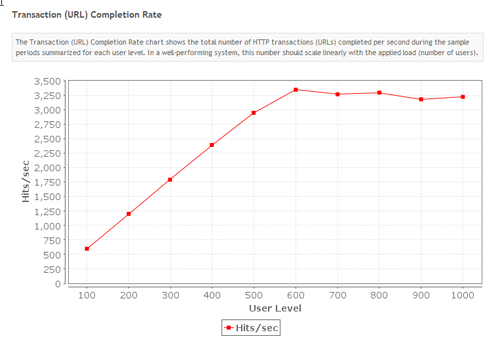 In fact, even on a large server you’ll be lucky to handle 100 concurrent users on even simple web pages. So many websites have very few visitors so often its not noticeable, but even if you adjust all of the other apache2 settings, if you don’t bother to adjust the ulimits, the site will be handicapped by really bad performance. So, what type of performance do you get with these settings? The testcase I used was browsing our company website, configured as static pages, with 4 second think times and a page-load goal of 2 seconds per page. Even though it should have been able to handle at least 512 browsers, the webserver started crashing at less than 100 concurrent users. The fix on RedHat/CentOS is to edit the file /etc/security/limits.conf and these lines, adjusting the limits based on your system capacity and needs. Restarting Apache and Re-running the tests resulted in a huge increase in performance, increasing the capacity of the server to around 600 concurrent users. your ulimit is from after the change – 10240 limits, not 1024. Could you re-run this test with smaller page to see the actual apache limit – not NIC? I don’t understand the question. The before and after stats are given in the article. what tools used for graph ? 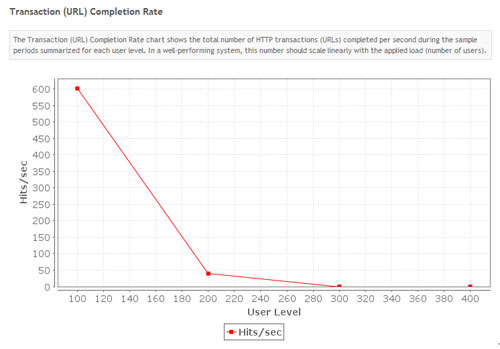 The charts are from within Load Tester, and create by JFreeChart. 1) I read tens of howtoo but you are the only one that explains the “browser open up to 8 connections” factor. 2) Why browser open so many connections? On some websites I read that decreasing the timeout to 2/4 seconds, performance are hugely increased. In your opinion, is this always true or depend on the website? For example, supposing that I’m using an exam training webapplication in which users spend up to 2/3 minutes before to change the page, wouldn’t make sense to increase Keeepalive up to 120 seconds instead to reduce it? 4) In case of worker MPM, what should be a good configuration about MaxClients and ThreadsPerChild? 1) Apache can manage its memory for that number of connections, so you wouldn’t need 64G of RAM. Its pretty difficult to predict, just try the new settings and see what happens. 2) Browsers open multiple connections for performance reasons. As it turns out, 6 sockets, for example, simultaneously downloading connect from a web server is faster than 1, even for static content. The reasons are too complicated to go into here. Note that 8 is the max we’ve seen, different versions of each browser open different numbers of simultaneous socket connections. 3) I recommend testing the keep alive timeouts and see what value works best for your application. 4) Sorry, Google is your friend 🙂 Again, since we’re a testing company, we recommend starting from a ballpark figure then get a feel for what happens yourself by sending test loads at your web server. Michael thanks again for your kind reply. just last question about point number 1. I have understood that is difficult to predict and that I need test, but, can you at least tell me if my math does make any sense or if 8GB could be even enough? Does it just depend on the application type or are there other factors?